North American cities like Chicago and Toronto have ongoing annual Iranian film festivals. In New York, RogerEbert.com contributor Godfrey Cheshire and Armin Miladi, who operates the distributor Daricheh Cinema and has programmed an Iranian film festival in Sydney for eight years, have launched an equivalent series at the IFC Center. It runs from January 10th to the 15th. 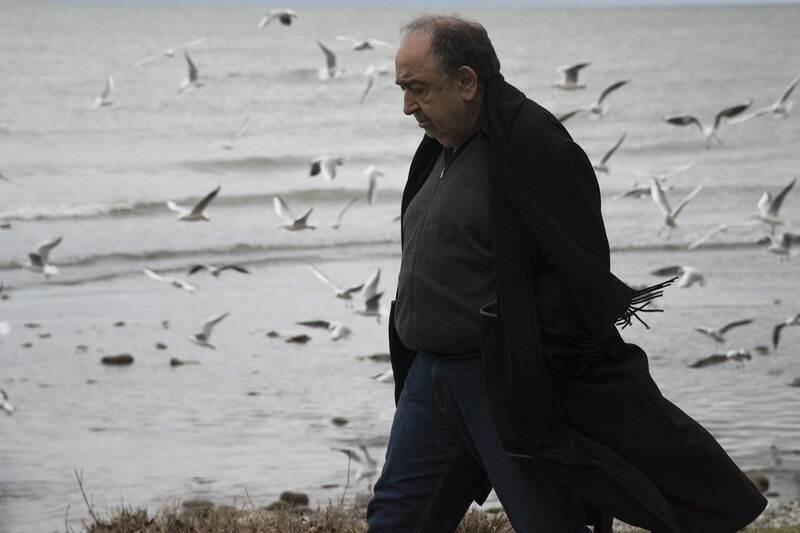 In “Tale of the Sea,” Farmanara plays Taher, a writer who has just been released from a mental hospital into the care of his wife Jaleh (Fatemeh Motamed-Arya), who wants to divorce him because he’s so difficult to live with. But for now, they live in a house on a beach, where he meets with friends, a former student turned activist (Saber Adar) and, eventually, his long-lost daughter Parvaneh (Leila Hatami). “Tale of the Sea” establishes a somber mood with deliberate pacing, a minor-key orchestral score and Farshad Mohammadi’s muted, blue-toned cinematography. The film consists of one-on-one conversations, and for its first hour, Taher participates in all of them, although the audience learns that he’s an unreliable narrator. It may as well be divided into three acts with on-screen titles, with the final half hour developing far more storytelling momentum. “Tale of the Sea” works best when it cares more about gradually exploring Taher’s life than building a narrative out of it. Still, its echoes of Bergman and Chekhov add up to a moving reflection on aging and mortality.